INDIANAPOLIS — Nine years into his NFL career, with almost 80 sacks to his credit, Justin Houston could’ve just coasted into his 30s and rode out his playing days with the satisfaction of knowing he was one of the league’s best pass rushers of the past decade. Instead, Houston believes he’s just getting started.  After mulling his options on the free agent market for the better part of two weeks, Houston on Thursday found himself at the Indiana Farm Bureau Football Center on a visit with the Indianapolis Colts, who were intent on not letting him leave without first signing a contract to become their marquee edge rusher. Late Thursday afternoon, Houston did just that, signing a reported two-year deal and filling a major team need in the process. Houston, 30, has built his career out of terrorizing opposing quarterbacks, as evidenced by his 78.5 career sacks — tied for the fourth-most among all pass rushers since entering the league in 2011 — as well as 118 quarterback hits, 14 forced fumbles and 32 passes defensed. He’s a four-time Pro Bowler (2012-15), and in 2014, Houston came just one half-sack away from tying the NFL’s single-season record when he tallied 22 sacks. A NFL Defensive Player of the Year candidate, Houston that year was named First-Team All-Pro. He can do it all off the edge — speed, power and finesse — but Houston says his work getting an advantage on his opponents starts way before kickoff. After spending the first eight seasons of his career with the Kansas City Chiefs — who selected him in the third round of the 2011 NFL Draft — Houston will have two challenges in particular that will be top of mind as he starts anew in Indianapolis. First and foremost he wants to be sure to stay on the field. After playing in all 16 games three out of the first four seasons of his career, Houston would miss 16 games total over the 2015-16 seasons as he dealt with a knee injury. 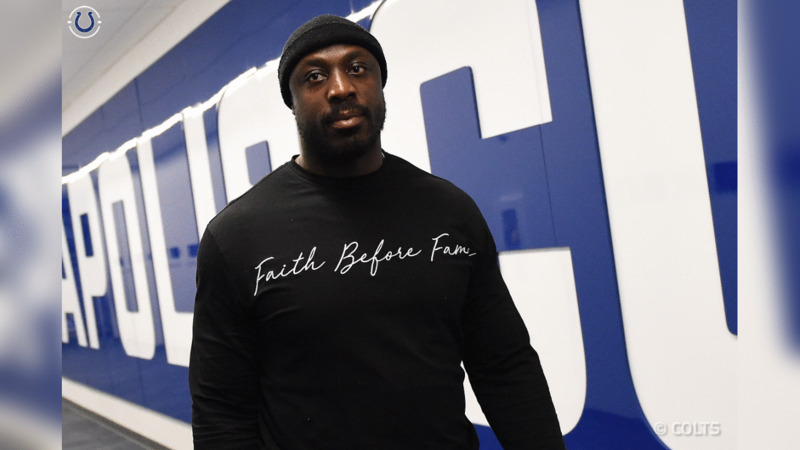 He played in 15 games in 2017 — logging 9.5 sacks — but last season was limited to just 12 games in the regular season as he dealt with a hamstring issue. Despite missing a quarter of the season, however, Houston in 2018 still logged nine sacks and a career-best five forced fumbles. He was getting stronger as the season wore on, collecting six sacks and two forced fumbles over the Chiefs’ final six regular season games, and then sacking Colts quarterback Andrew Luck twice in Kansas City’s Division Round playoff victory at Arrowhead Stadium. A second challenge for Houston will be a technical change in positions. An outside linebacker in the Chiefs’ base 3-4 defense his entire career, Houston will now be utilized as a defensive end in the Colts’ 4-3 system. What does that mean? In the simplest terms, Houston will now primarily always line up with his hand in the dirt and only worry about getting to the quarterback. That sounds perfectly fine to him.